The Squarespace “Calling John Malkovich” SuperBowl LI Ad shows John Malkovich calling someone who owns JohnMalkovich.com. He is yelling into the phone and trying to get the domain from someone else who owns it. 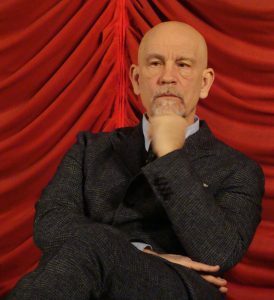 In real life, the JohnMalkovich.com is not at risk. However, this happens all the time when people do not register their domains or let them expire. In fact, McDonalds.com was initially picked up by a journalist. This is an interesting approach to a Super Bowl ad. Squarespace wants to sell domain names and help people build websites and John Malkovich is advertising his new fashion line, “John Malkovich”. His previous 3 lines of clothing, Uncle Kimono, Mrs. Mudd, and Technobohemian, had no web presence that I am aware of. As the Squarespace SuperBowl LI Ads hit YouTube I will add them to this article. Should I register my domain name with Squarespace? You register a domain with what is called a Registrar. There are literally thousands of registrars in existence such as NameCheap and GoDaddy. If you plan on building your website with Squarespace it is just fine to register your domain name with them. Squarespace also makes building basic websites fairly simple. If you are in a competitive niche or want to add plugins and bells and whistles to your site you may want to use WordPress. However, WordPress requires updates and you may end up hiring a designer if you want the site to look a certain way. In other words, I personally like both. I use WordPress almost exclusively, but Squarespace sites are easy to manage. My CPA has a basic 4 page website they threw together on Squarespace and it looks pretty good. If you want complete control of your site and are going to add 700 pages of content to it, you are probably already aware of the alternatives. A Squarespace site can be built out and managed for under 150 bucks a year and is a great option for both Falcons and Patriots fans, and as you can see by JohnMalkovich.com they also support basic e-commerce functionality.